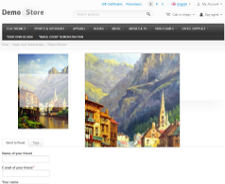 CS-Cart “Image Zoom” add-on allows customers to view the enlarged details of a product image on a product details page. By mousing over the image customers can view different areas of this image in details in the appeared pop-up window. It is a simple but convenient way to estimate the quality of a product by its looks. Customers can also click on the image to view a larger version (standard CS-Cart functionality). ability to view the enlarged details of a product in a pop-up window by mousing over the image. The add-on works correctly in Internet Explorer 9 and above, Mozilla Firefox, Safari, Google Chrome and Opera latest browser versions. The add-on is compatible with CS-Cart 3.0.x. 1) Administrator needs to upload a larger view image. 2) The add-on works only with the Default image previewer - Fancybox (Settings -> Appearance -> Customer settings -> Default image previewer -> FancyBox). 3) "Image Zoom" add-on doesn't change any code of a standard page. 4) Our "Image zoom" add-on will not work for pages with enabled "Product designer". 5) We offer free installation of this add-on for the default CS-Cart versions (that don't have any file changes and additional modules). Otherwise, the installation may require additional charge. 6) After the payment is confirmed, you will be able to download the add-on from the order details page. Please, contact us, if you have questions about this module. 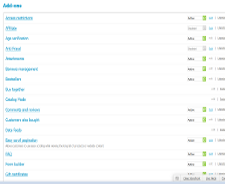 Zoom width - specify the width of the pop-up window where zoomed area is shown. Zoom height - specify the height of the pop-up window. Position - choose the position of the pop-up window. Right or left position. Fadein effect - choose the zoom effect. Smooth effect for smooth display, instant effect for instant zoom display. 1. Download the archive with the Image Zoom add-on. 4. 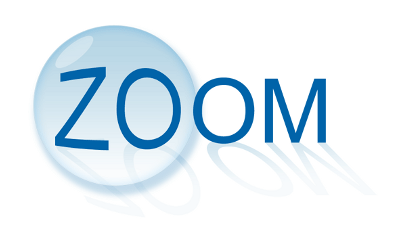 In the list of add-ons find the Image Zoom add-on and click Install opposite to its name. "Great addon ! Thank you for the fast fix regarding conflict problem with my carousel for thumbnails. Awesome service !"